What personal information do we collect and why is it needed? We collect this information so we know how to contact you and how we can help you. If you choose not to provide this information, its highly likely we won’t be able to help you. We need this information so we can make sure you are appropriately educated, qualified and skilled for our team before getting you in for an interview. For feedback, we also collect the rating and comments you leave us. We use this information to ensure we are delivering the high quality service we aim to achieve. We may choose to publish your feedback on our website alongside your name and suburb (your email address will not be publicly available). We collect information by way of contact forms on our website, telephone, email and user surveys. Your information is stored on a database hosted in a secure data centre managed by our IT service provider. We regularly check user account provisioning on our database to ensure the expected levels of data visibility are in place. Our website has been hardened using industry standards to protect and secure your information. Cookies are small text files that are created when you visit websites. They record details about your web browsing behaviour which we then use so that we can better tailor your visit as well as understand how traffic flows to our website and how the website is used. You can switch cookies off by way of your browser settings and still have an enjoyable user experience. Do third parties have access to personal information? We do not disclose information overseas, nor do we sell or share your information. In the event that there is a change of control of our business (i.e. an acquisition, merger etc), we may disclose your personal data to a potential buyer under a confidentiality agreement. Will we spam customer inboxes with emails? We occasionally send informational emails advising our customers of new content on our website that we think may be of interest (you know, subjects like how you can save money using tech or how you can speed up your internet/wifi). When we have offers, we may send you an email to see if its something you may be interested in. We remind you on each email that if you don’t want to receive any more correspondence, you can click the Unsubscribe link at the bottom of the email (unsubscribe requests are actioned within minutes). How should a customer request access and/or changes to their information? You will need to send us a message via the website informing us that you require access or that you would like information changed. We will need to validate your identity which requires providing your name, phone number and email address. We’ll cross reference these to see if we have a match and assuming we do, we’ll send the details to the email address we have on record. In the event that we don’t have a match, we will advise you via email that we do not have any records matching those details. We aim to respond to these queries within 10 business days. This website contains links to third party websites. Links are provided as a convenience only and do not constitute endorsement or sponsorship or approval of these websites. TechSolvers are not responsible for the privacy practices of other websites. This policy is subject to change and may be modified at any time. Changes to our policy take immediate effect upon being posted to this website. The last modification date of the policy can be determined by viewing the “Last Updated” subheading at the top of the policy page. How do I enquire about a suspected breach of Australian Privacy Principles? 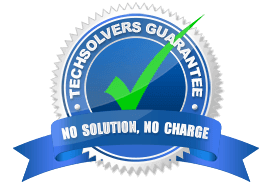 In the unlikely event of a complaint, you can send us a message via the Contact Us form at techsolvers.com.au or call us on 02 8502 8954. You can also choose to write to us at PO Box 42, Jannali, NSW 2226. You should expect to hear from a senior employee within 48 hours.